• Emergency surgery – that must be performed without any delay as the patient is likely to risk life or a limb if the surgery is not done immediately, as in the case of accidents and other medical emergencies. • Elective surgery – a surgery that is planned in advance for medical reasons and does not normally constitute a critical condition. • Exploratory surgery – A surgery performed to aid or confirm a diagnosis, as in the case of cancer treatments. • Reconstructive surgery – To correct an injured, mutilated or deformed part of the body, as in the case of excisions . • Cosmetic surgery – Done to improve the subjective appearance of an otherwise normal structure of the human body. 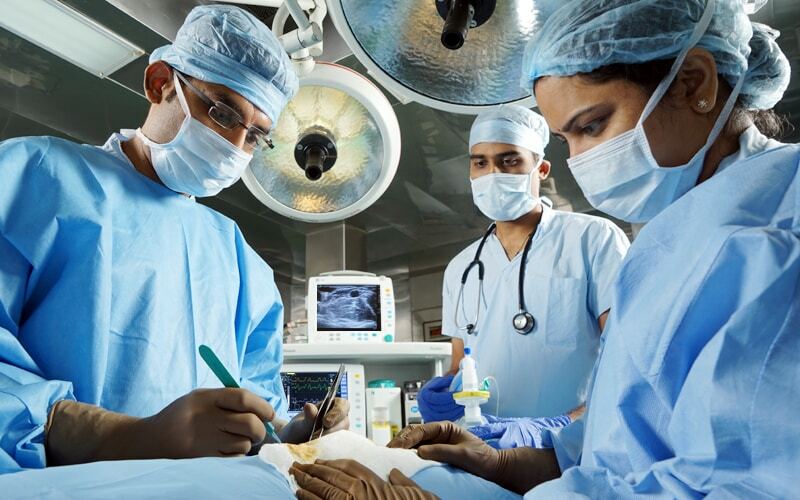 The surgical facilities in EMC include two separate units with six operation theaters fully equipped with sophisticated instruments to handle any surgical emergencies. Two Recovery Intensive Care Units with a capacity of 12 beds provide post-surgical care to patients round the clock. A full fledged CSSD unit that ensures a routine supply of highly sterile medical equipment and consumables to the operation theatre, ICUs and other locations in the hospital.